Mumbai : The Bombay High Court stepped in to end the four-day stir by resident doctors directing them to resume work immediately even as Chief Minister Devendra Fadnavis mooted a panel to resolve security issues in state run hospitals. As the stir affected health services and put hundreds of patients to hardships, the court observed that “medical attention” cannot wait, adding that the profession of doctors is so “sacred” that they cannot afford to go on strike. Union Health Minister J P Nadda also joined Fadnavis in appealing to the resident doctors to get back to work and asked states to take measures to improve security of doctors. Unfazed by the government’s warning of suspension and cutting their pay, the resident doctors abstained from work for the fourth day today. Last night, a woman doctor of the civic-run Sion hospital here was allegedly beaten up by the relatives of a patient, which made the stand of the protesting medicos more strident. Nearly 4,000 resident doctors are staying away from work since Monday, demanding enhanced security in the wake of a string of attacks on doctors by patients’ relatives at government hospitals across the state. The high court said the issues and demands of the doctors can be amicably resolved with the state government. The court also directed the government and the management of various hospitals not to take any punitive action against the doctors who were served notice yesterday for not resuming their duties. A division bench of Chief Justice Manjula Chellur and Justice G S Kulkarni was hearing a petition filed by activist Afak Mandaviya seeking action against the protesting doctors. “The doctors will have to first go and resume their duty. All other issues can be amicably sorted out gradually,” Justice Chellur said. “We understand that the doctors are working in strained and horrible conditions sometimes, but we request them to resume work immediately,” she said. The bench said that the doctors can sit with the government and also the state-appointed committee and resolve their disputes. State Advocate General Rohit Deo informed the HC that the government has decided to deploy an additional 1,100 armed police personnel from Maharashtra State Security Corporation in all the state and civic-run hospitals. “The first lot of 500 police personnel will be deployed at hospitals in Mumbai on April 5. The remaining 600 will be deployed at hospitals across the state by April 30,” he said. “This will be in addition to the already deployed policemen at the hospitals,” Deo said. The court accepted this statement and asked the doctors to resume work. “You (doctors) resume work and see if everything is done as assured by the government. We will hear the matter every fortnight and supervise the issue,” the judges said. The high court further observed that in the past too the government had made assurances but still the doctors have gone on protest. “There must be something amiss then. But the doctors should also not resort to such drastic steps. Some amicable solution needs to be arrived at,” Justice Kulkarni said. “Medical attention cannot wait. The doctors’ basic duty is to save lives,” they noted. “It is very painful to see patients and their relatives waiting outside hospitals. What if your (doctors) relatives face such a situation,” Justice Chellur said. After the HC’s direction and the CM’s appeal, the representatives of the protesting doctors went into a huddle to discuss the directive and the steps to be taken thereof. The idea of an apex council was mooted at a meeting held by Fadnavis with representatives of Maharashtra Association of Resident Doctors (MARD to discuss the demands of the resident doctors. “Fadnavis proposed setting up of an Apex council with Government representatives and doctors, which would meet every three months to resolve the issues arising from time to time,” an official in the Chief Minister’s Office said. The chief minister directed the authorities concerned that adequate security be provided to sensitive hospitals with armed policeman and installation of CCTV network. If the doctors on duty were attacked the expenses for their legal and medical aid would be borne by the Government. Earlier, in a statement in the state Assembly, Fadnavis urged the doctors to follow their professional ethics by serving the people. “Because of the acts of a few irresponsible people of attacking doctors, it is not right to deny the poor their right to access to the medical facilities. 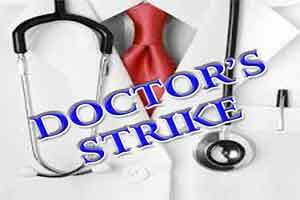 I appeal to the doctors and their organisations to call off the strike and return to work,” he said.